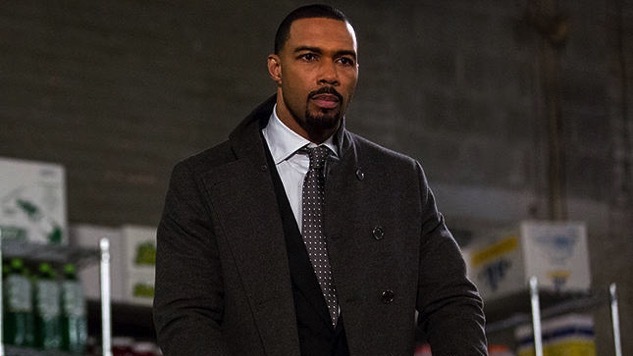 The finale of Power suffered in some ways and was a little lackluster, compared to this season’s better episodes. But the most powerful moments—Tariq’s kidnapping, Tommy’s rise to power, Ghost’s arrest—will surely keep us tuned in for Season Four’s return. We saw Ghost on the brink of ultimate success, but oh, how the mighty have fallen. It’s going to be interesting to watch as he has to answer for all of his previous crimes. If there’s one thing I ask for, it’s for Tasha to have a meatier season, where she’s the one making some major moves. And with Ghost’s arrest, that surely may happen! But tonight she did as she promised Tommy, by protecting Ghost from harm. Now, she’s going to have to protect Tariq, and who better than a mother to save her child? Ding, dong, Knox is dead. The more Greg became obsessed with Angela’s betrayal to him, the more his storyline continued to spiral out of control. When Knox finally put two and two together about Sandoval’s betrayal, he thought he could save the man some grief. Sandoval thanked him by sending two sluggers his way. We knew Kanan’s main goal was to crush Ghost’s spirit by way of mentoring Tariq, but we weren’t prepared to see his reluctance against Jukebox’s plan—to hold the teenager ransom and kill him after they get the money. Does this mean that Kanan actually has a heart? Is he trying too hard to replace Sean with Tariq? This certainly gives his character some more depth. Plus, Jukebox is back! Angela has been bubbling over this whole season, and with the death of Knox, it looks like she can finally distance herself from Ghost. This moment was too perfect—Ghost made Truth look like a dream and with the love of his life walking towards him, he thought he had it all. Instead, she took out the handcuffs to arrest Ghost; it was the nightmare he didn’t think could possibly come true. First Brangelina, now this? Love is truly dead for the rest of us. Two connects dead in one season? Well, Power moves right through them. Milan didn’t have a chance, especially since his lackeys were determined to exact revenge, along with Ghost and Tommy. But Milan did say that you could kill him and his organization will still run smoothly, and Tommy looks like he’ll be the one to do exactly that. Bye Milan! Nostalgia at its’ finest—the writers gave us many, many callbacks to the first season. From Angela and Ghost’s diner, to Tommy and Ghost’s name-calling, I am yearning for the simpler times. Saxe is no good for propositioning Angela after Knox’s death. Niiice!